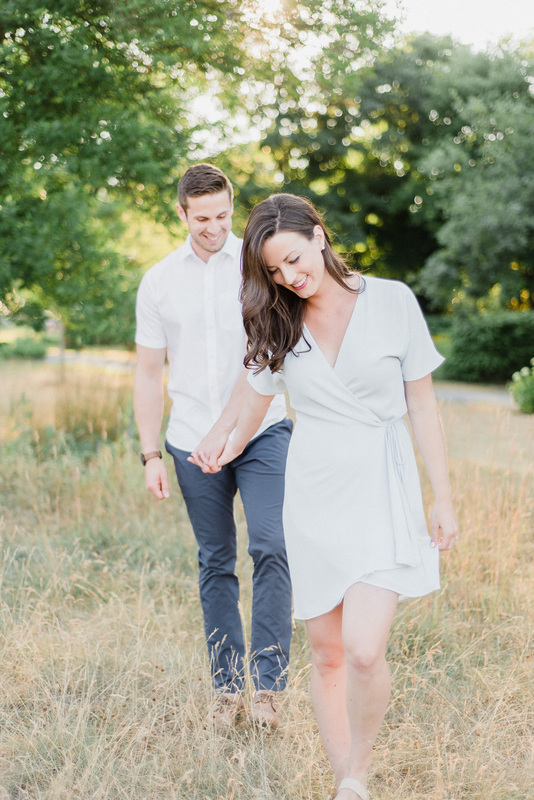 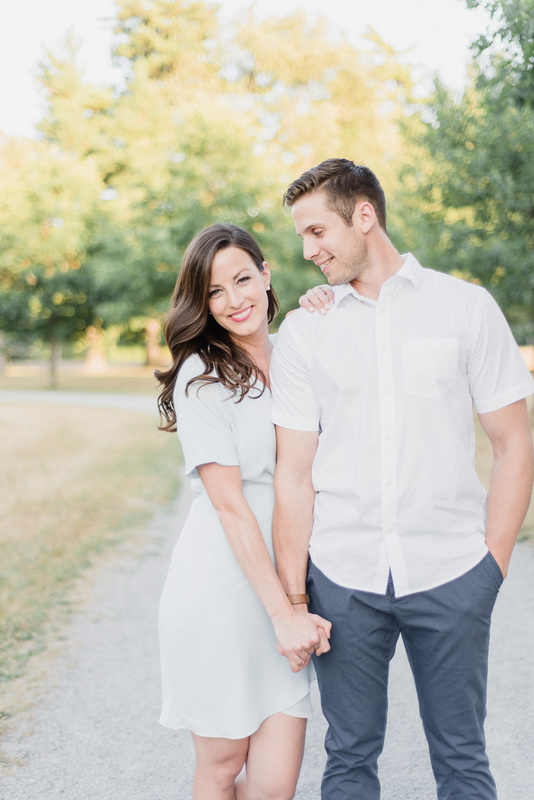 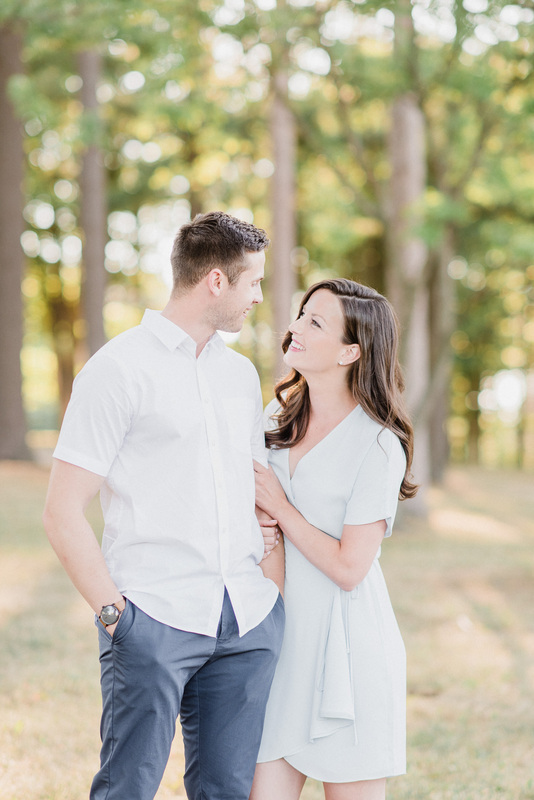 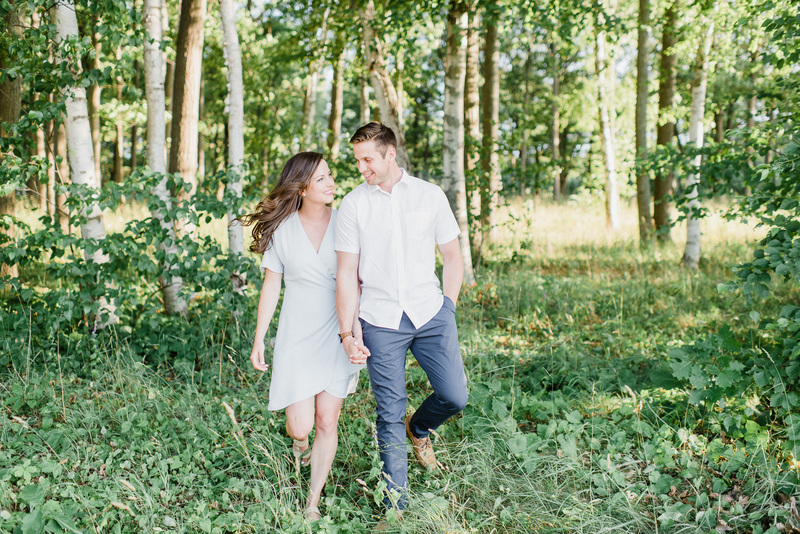 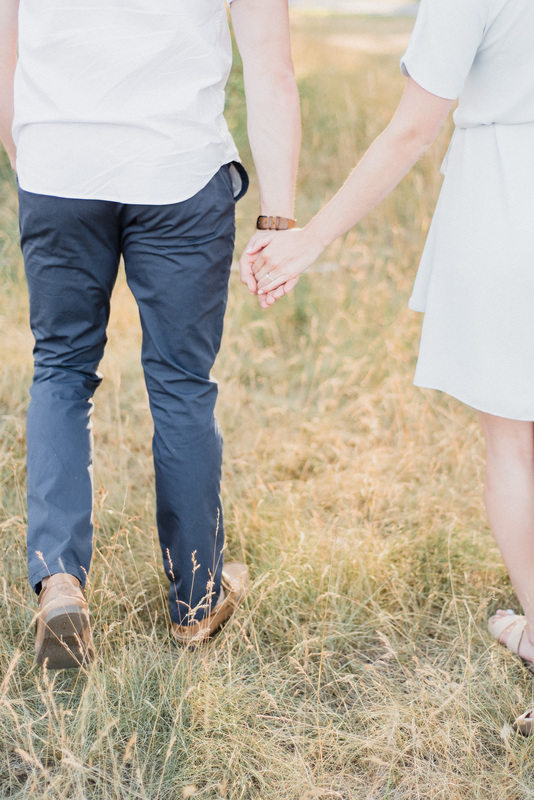 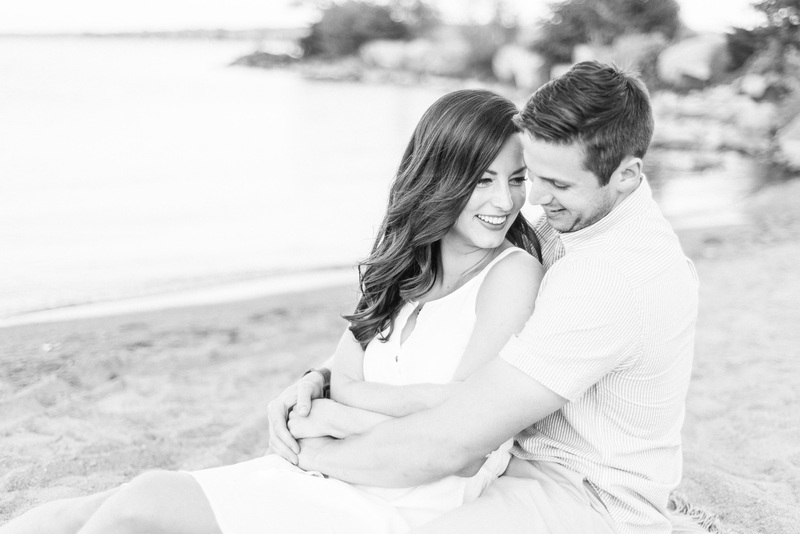 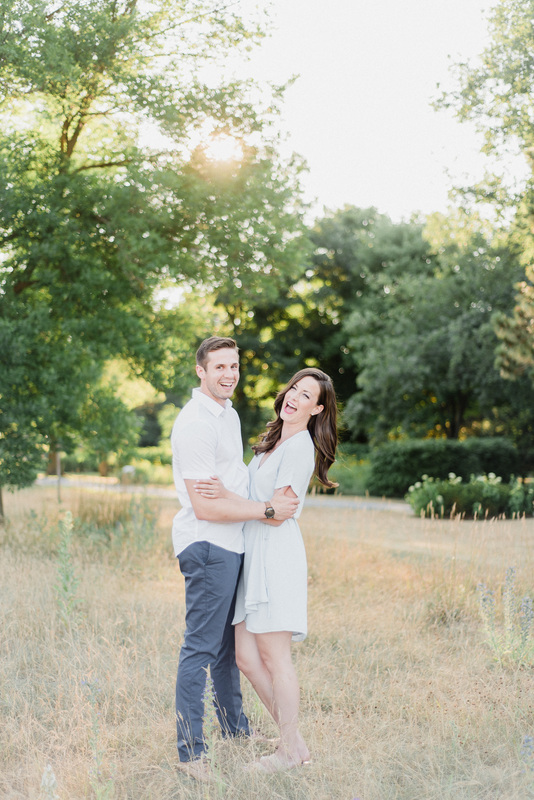 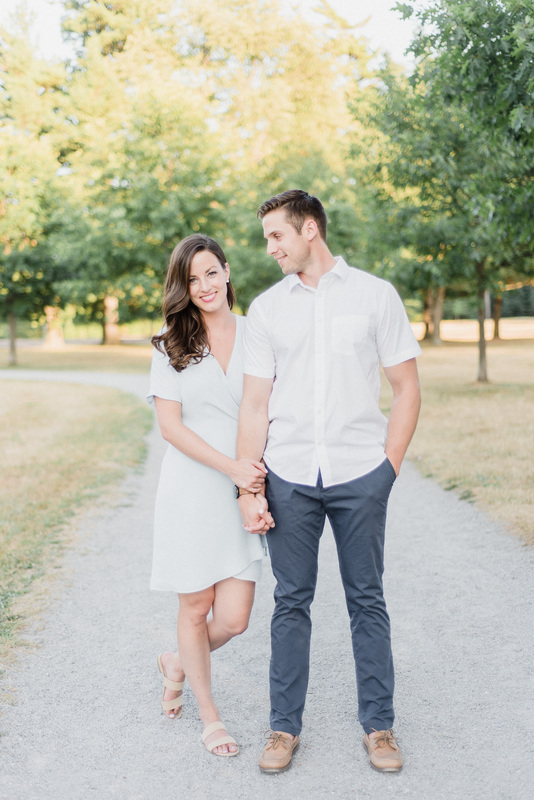 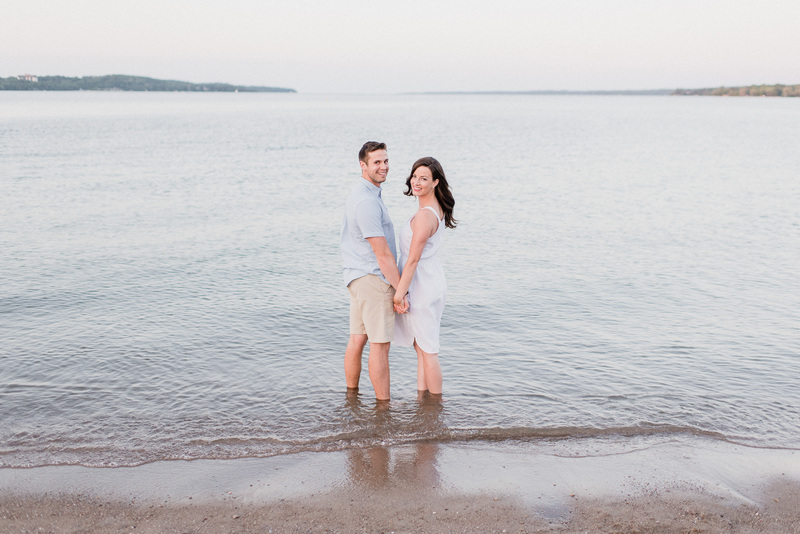 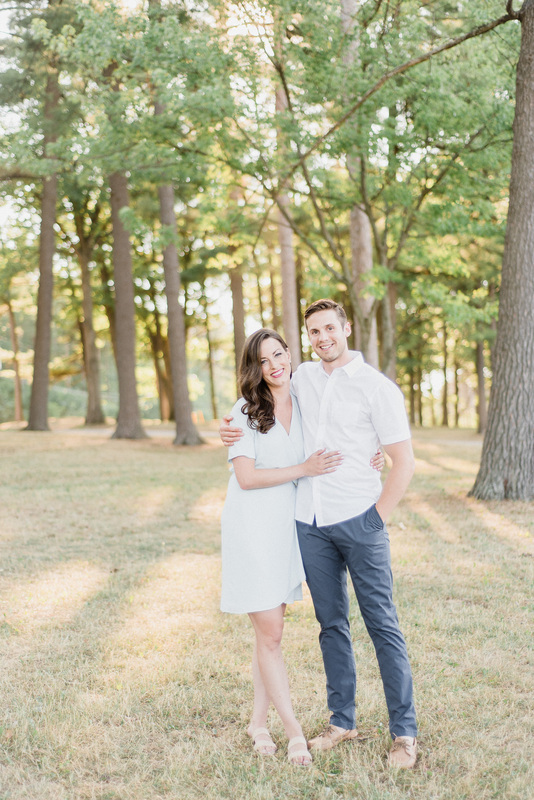 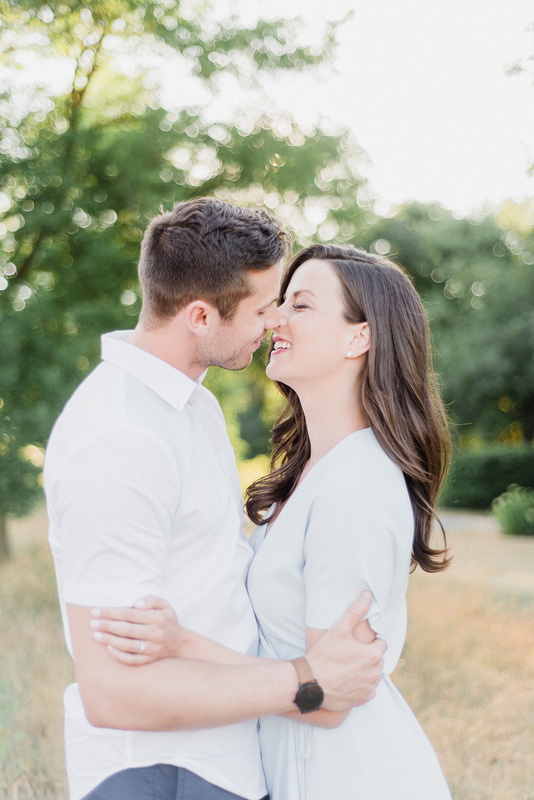 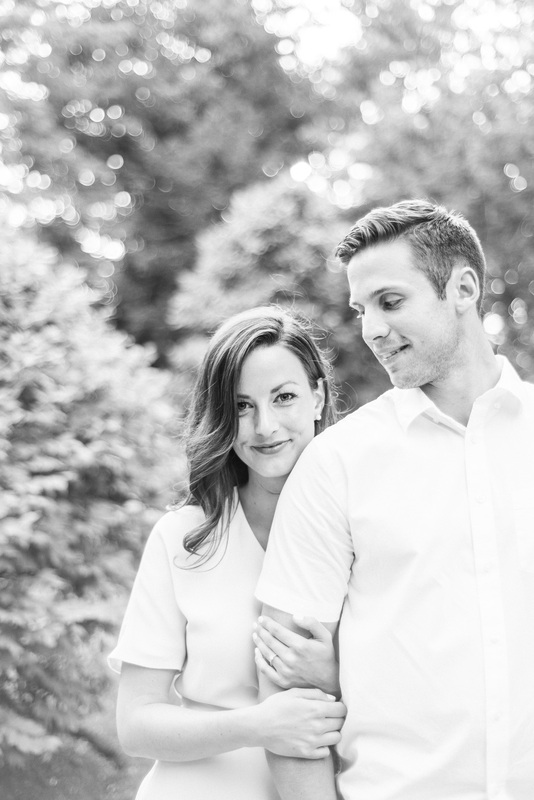 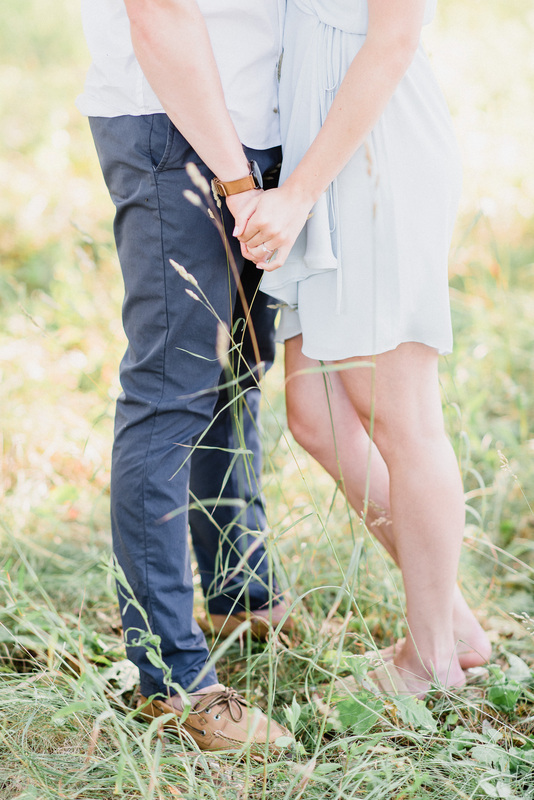 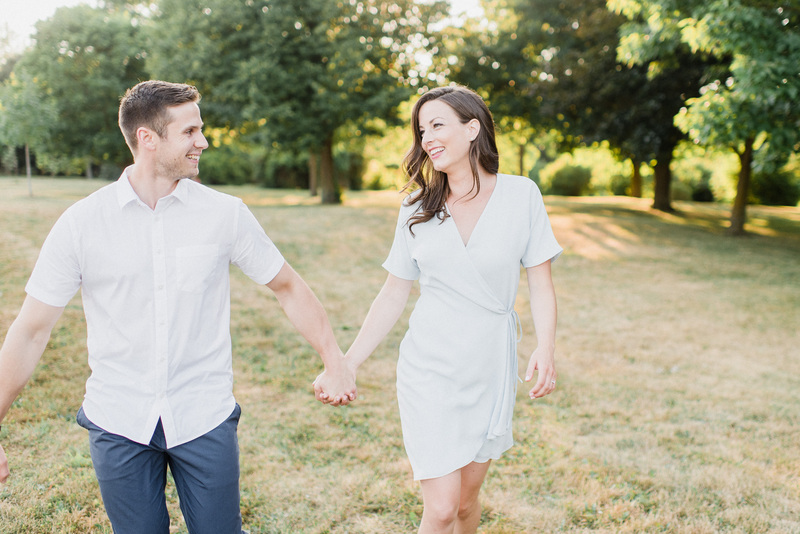 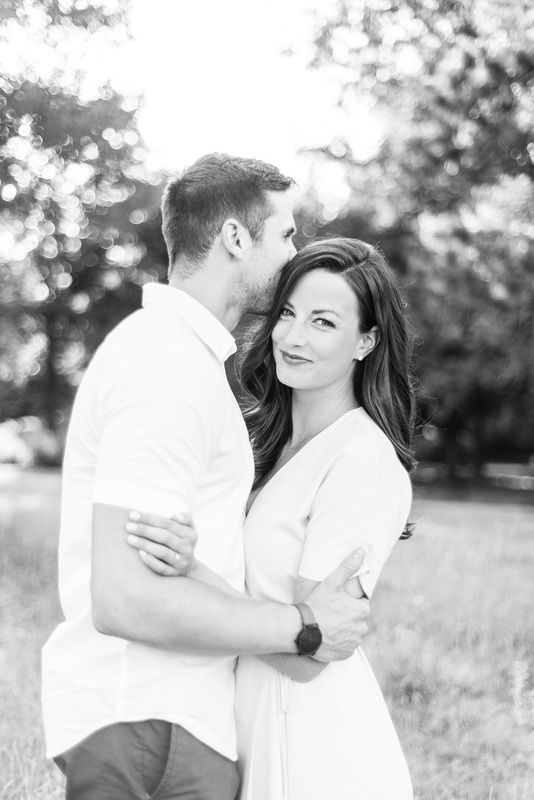 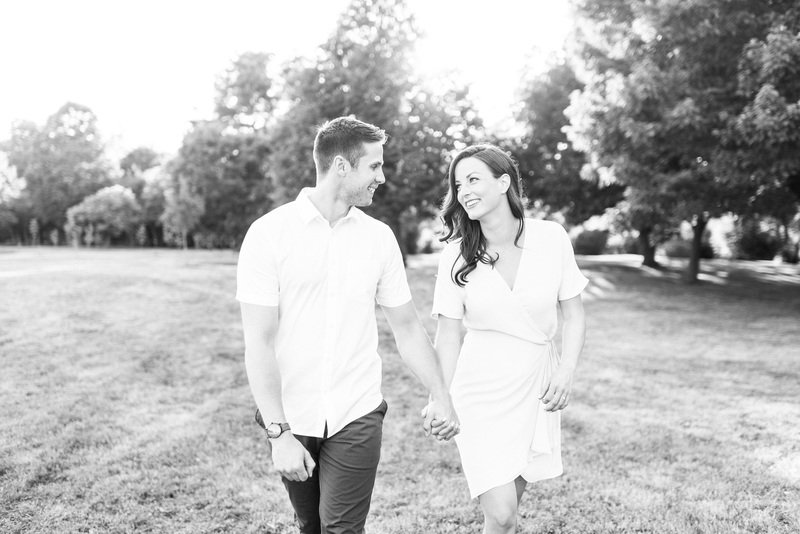 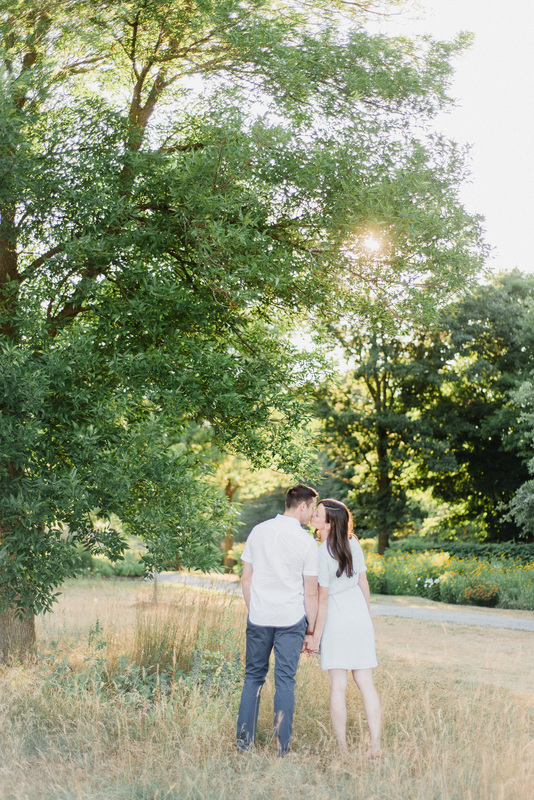 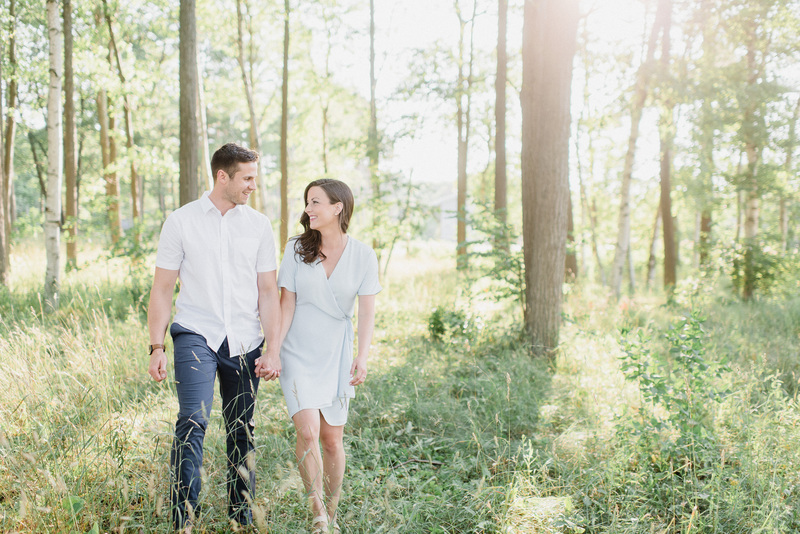 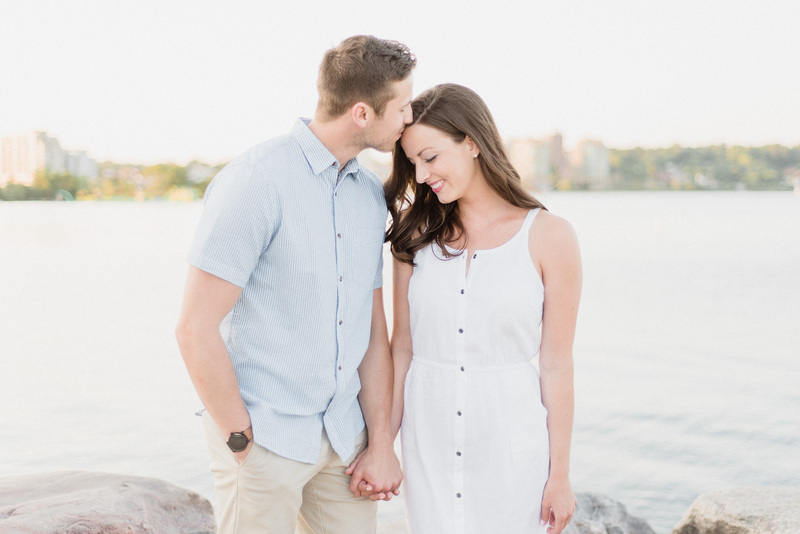 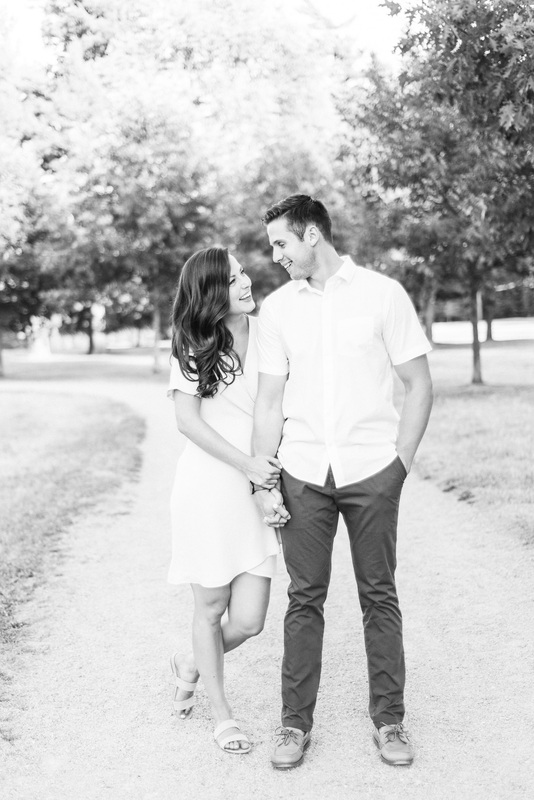 Emily and Matt’s bright and airy Barrie engagement session was scheduled on the perfect July evening. 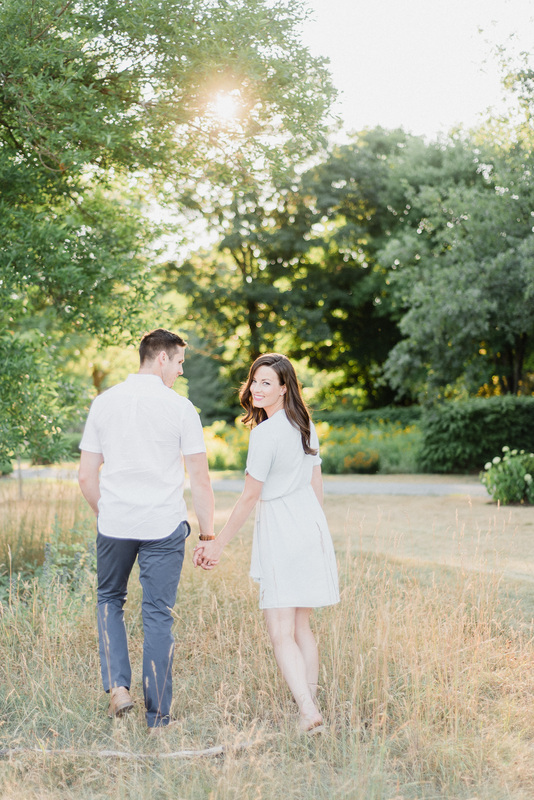 The heat wave had finally broken, and we enjoyed a beautiful sunny evening with the perfect breeze. 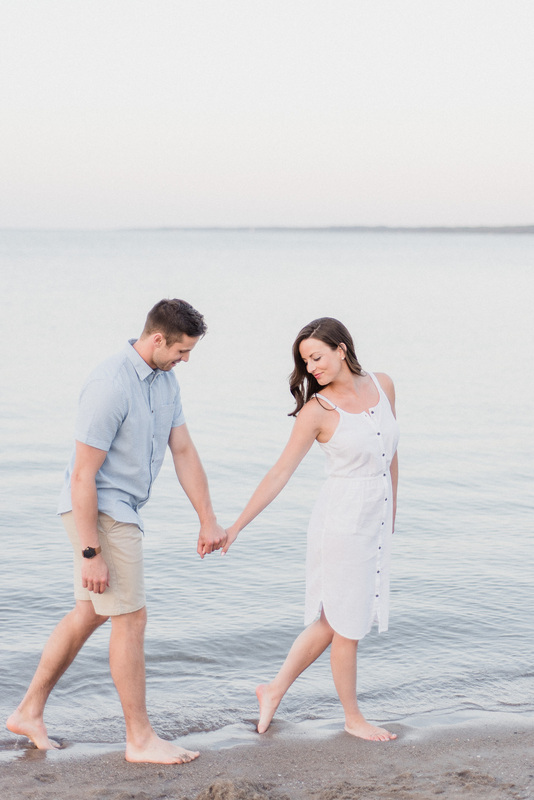 Just as we arrived down at the beach, everyone was clearing out for the evening, taking the kids home for bed, leaving us with a perfect and nearly empty beach. 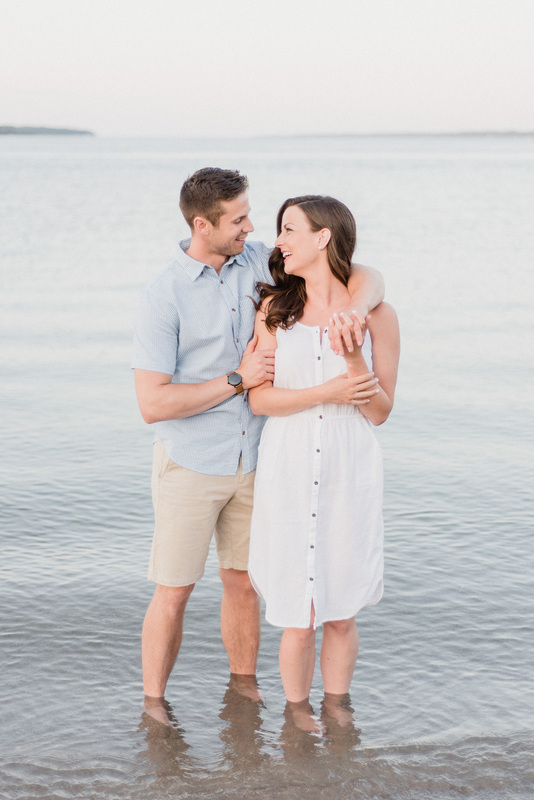 From where we stood by the water, Emily and Matt pointed out to me the direction across the water where they had grown up, gone to school, and even the little bay where her parents live. 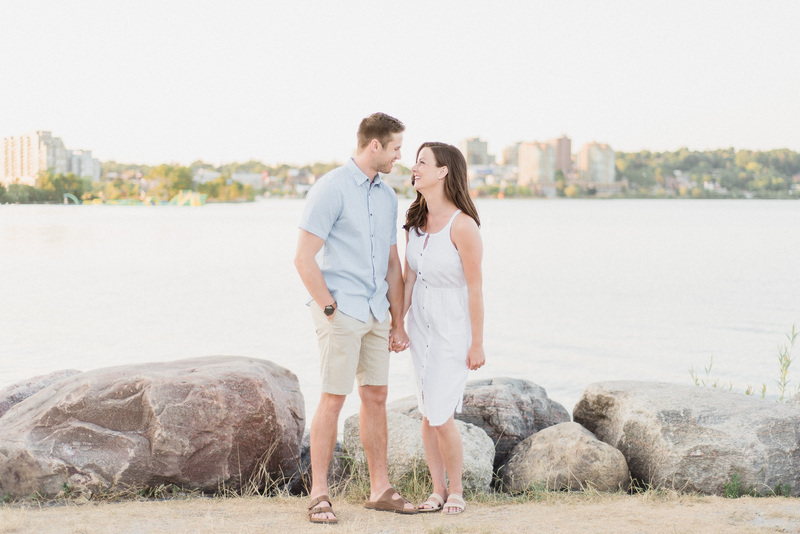 They had a little laugh when I set them up in an apparently very ‘typical Barrie photo spot’, with a bit of the Barrie skyline behind them and the water glistening. 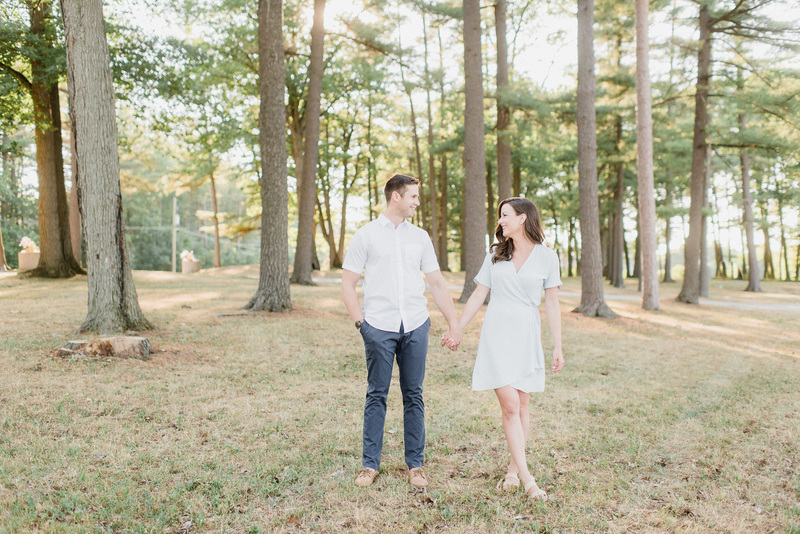 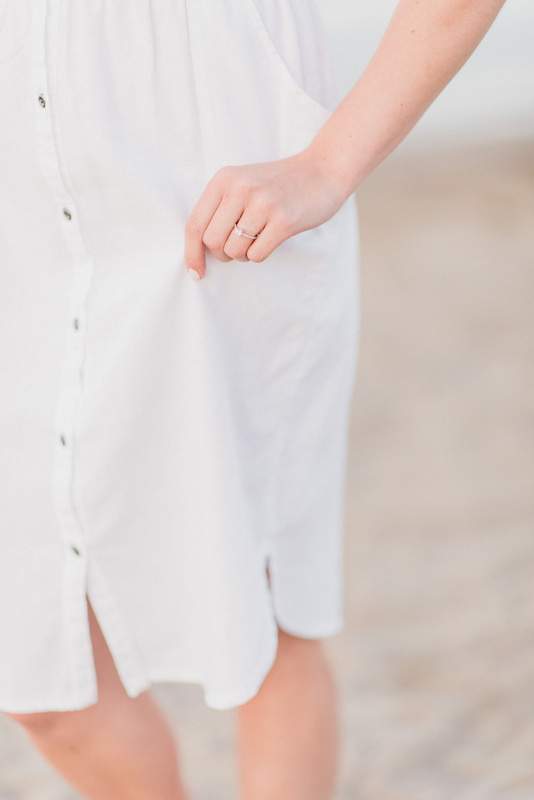 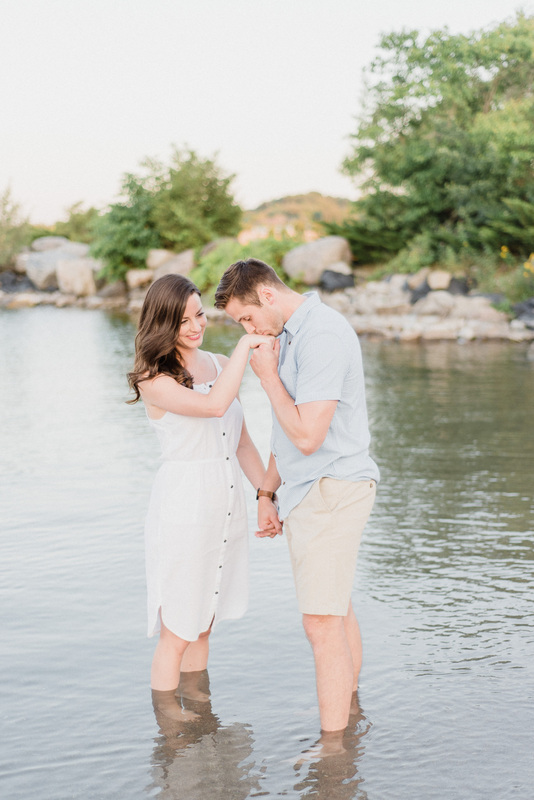 Even though it might be a good ‘go to’ spot, I love that these guys kept their locations meaningful and familiar, and all within about 10 minutes of where they’ll be getting married next summer. 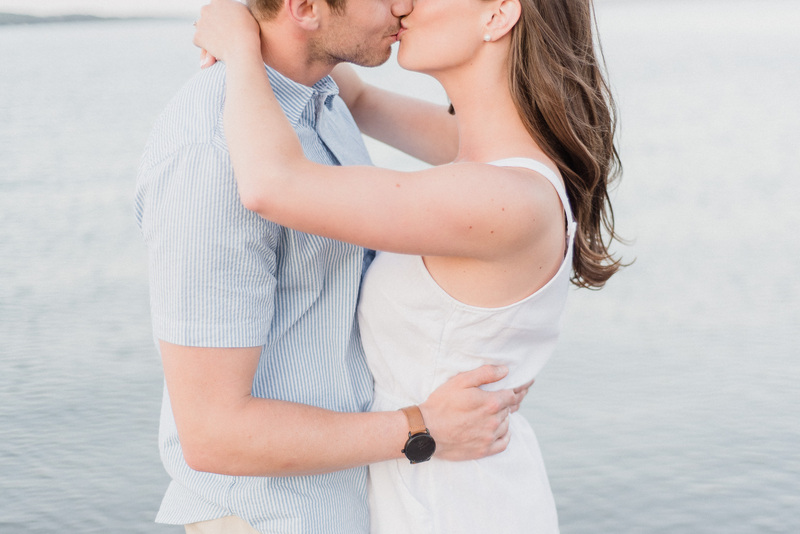 These two are tying the knot in exactly a year today, on July 13th 2019 and I’m super stoked to be documenting it for them! 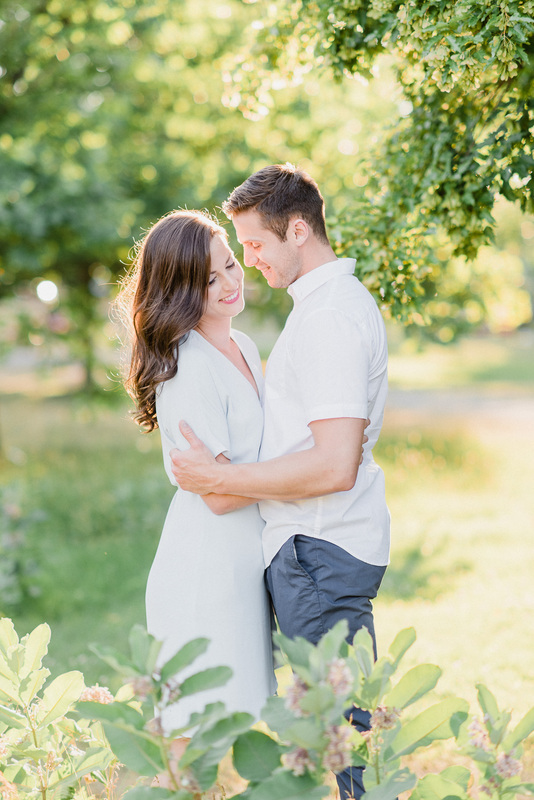 Emily and Matt are such kind and sweet souls, so I know their families and friends are going to be equally wonderful and I can’t wait to meet them all.